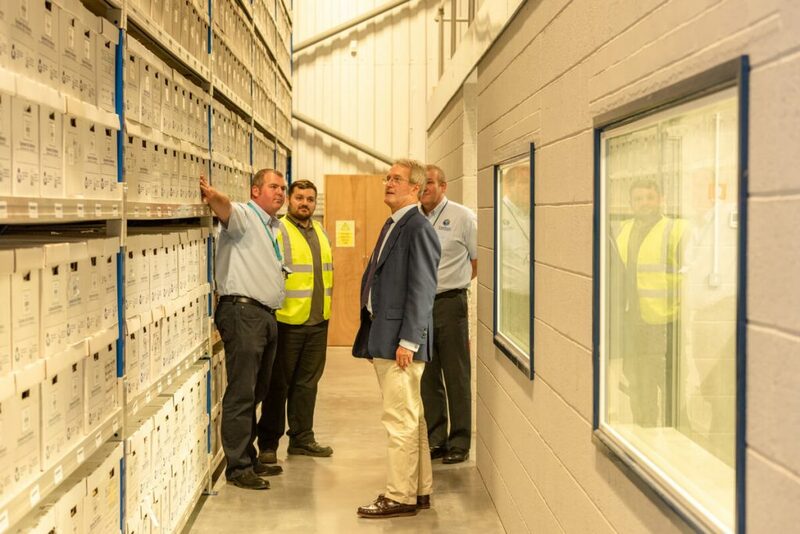 On 31st August 2018, EvaStore unveiled their new Document Shredding facility on Artillery Business Park, Oswestry. The new installation is housed within their existing high security, confidential, document management warehouse. 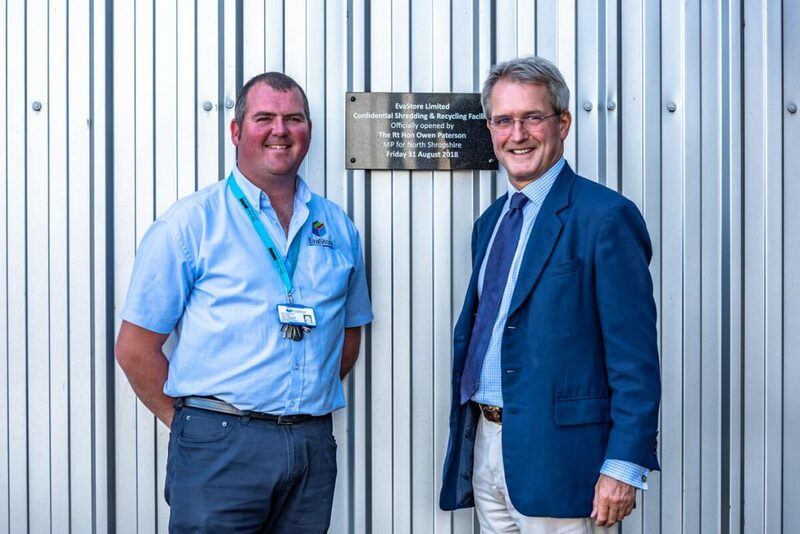 Owen Paterson, MP for North Shropshire was on hand to officially open the new facility, understand more about the new opportunities this plant will offer and learn how it is yet another sign of the investment being pumped into the local Oswestry economy, by the business. 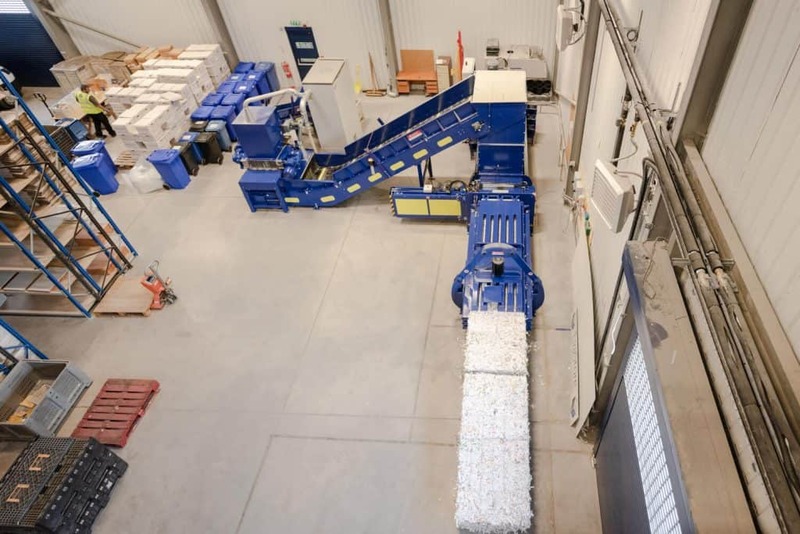 Gary Tait, Head of Sales & Operations at EvaStore explains ‘The new shredding machine will enable us to securely shred in excess of 2 tonnes of confidential paper per hour. 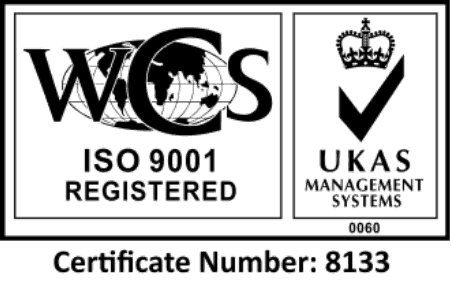 This may be old records which are no longer legally required or documents which have been securely scanned and stored on our secure database. 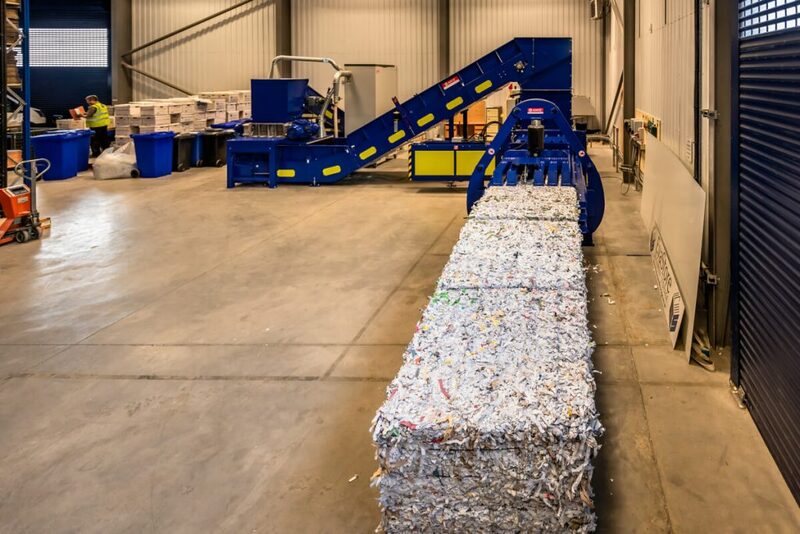 The shredded and baled paper as well as baled cardboard & plastic film created by the new machine then securely transported to recycling plants within the UK, ensuring as high a recycling rate for the business and its customers as possible. 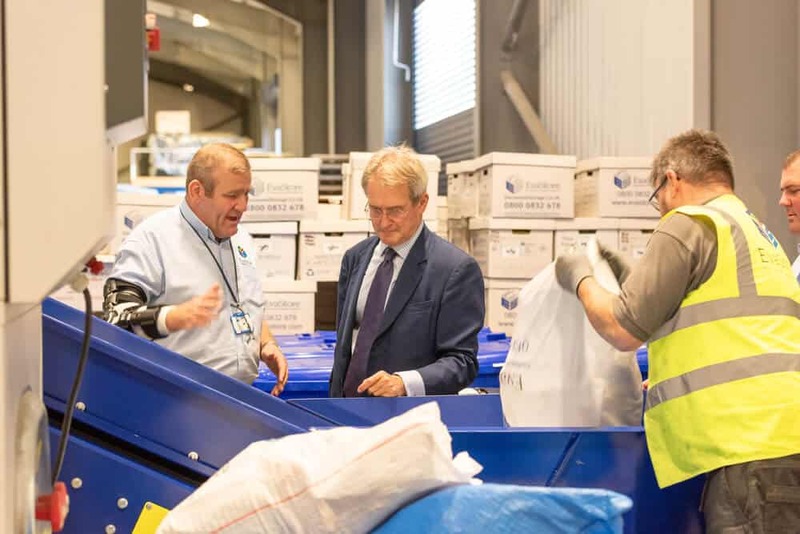 Along with the new shredding facility, they also offer document storage and scanning services to ensure control and fast retrieval of your documents.